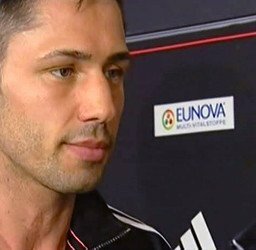 By Dwight Chittenden: WBA Super World middleweight champion Felix Sturm (37-2-2, 16 KO’s) made weight on Friday for his fight against Australia’s Daniel Geale (27-1, 15 KO’) in their unfication match on Saturday at the Koenig Pilsener Arena, Oberhausen, Nordrhein-Westfalen, Germany. Sturm weighed in at 158.73 pounds, and the 31-year-old IBF middleweight champion Geale came in at the exact weight for their unification match. Geale has a lot of skills and decent power, but he’s going to need to raise his game on Saturday night if he wants to get a decision win or a knockout against Sturm. Geale might be better off to look for a knockout because he might find it hard to win a decision over Sturm in Germany where Sturm has never been beaten before. Sturm has a number of controversial decisions that he’s gotten in the years that he’s held the WBA title and it would seem that if Geale wants to make sure he gets the win, he’s going to need to look to hurt Sturm to get a stoppage or at least some knockdowns in order to make his job easier. A win for the 33-year-old Sturm could get him a fight against WBO super middleweight champion Arthur Abraham later on in the year. Sturm has already talked about wanting the fight and it could be easy fight to make because both fighters live in Germany and are well liked by the German boxing fans. Sturm has the power advantage along with the much better jab. About the only thing that Geale has going for him in this fight is his mobility. That might not help Geale in this fight because can spear him with jabs if decides to move a lot and stay on the outside all night.